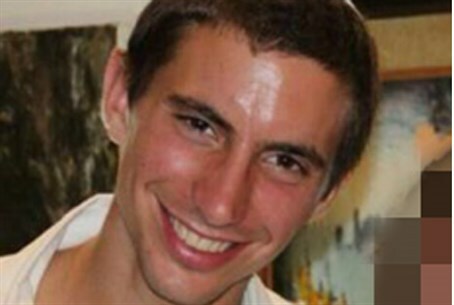 Second Lieutenant Hadar Goldin feared abducted, two other soldiers killed. UN spox condemns breach of ceasefire. The IDF released for publication the name of the soldier feared abducted by terrorists in Gaza. The missing soldier has been named as Second Lieutenant (Platoon Leader) Hadar Goldin, 23, from Kfar Saba. Goldin serves in the Givati Brigade. The IDF Spokesperson's office announced Friday that at about 9:30 am, terrorists opened fire on Israeli forces in southern Gaza, triggering a fierce exchange of fire, and preliminary information indicates that there is a concern that a soldier was kidnapped during the fighting. Two other soldiers were reportedly killed in the same gunfight. An investigation is underway and at this time, the IDF maintains a high-level operational and intelligence effort to locate the soldier. "We are continuing our activities on the ground," IDF Spokesman Peter Lerner stated. "Our initial indications suggest a soldier has been abducted by terrorists in an incident where terrorists breached the ceasefire." The soldier's family has been notified. Heavy fighting broke out on the outskirts of Rafah shortly after the UN and US-brokered "humanitarian ceasefire" went into effect, after a group of terrorists allegedly emerged from a tunnel and began opening heavy fire at IDF forces stationed there. At least one report, this time from Walla! News, says that a suicide bomber detonated himself directly next to IDF forces before the fighting began, wounding several soldiers. Intense clashes ensued; according to Palestinian media sources, thirty people were killed, at least eight terrorists among them - though the number is likely to be higher, as Palestinian sources regularly report terrorist deaths as civilians. Roughly 100 others were wounded, according to reports. A senior IDF commander stated on condition of anonymity that the condition of the missing soldier is unclear. "We don't know whether he was wounded during the attack," he said. Meanwhile, Islamic Jihad officials have been told by Egypt that talks for a long-term truce have been postponed. "The Egyptians contacted the Islamic Jihad and said Israel told them that a soldier has been captured," the terror group's deputy leader Ziad al-Nakhale told AFP. "The talks have been postponed." Hamas has tried to blame the broken cease-fire on Israel, according to AFP. "It is the occupation which violated the ceasefire. The Palestinian resistance acted based on... the right to self defense (and) to stop the massacres of our people," Hamas spokesman Fawzi Barhum said in a statement. Hamas also claimed reports of the abduction - which it has not confirmed or denied, at least in English-speaking media - were simply "justification for Israel retreating from the truce, and a cover-up for massacres especially in Rafah."